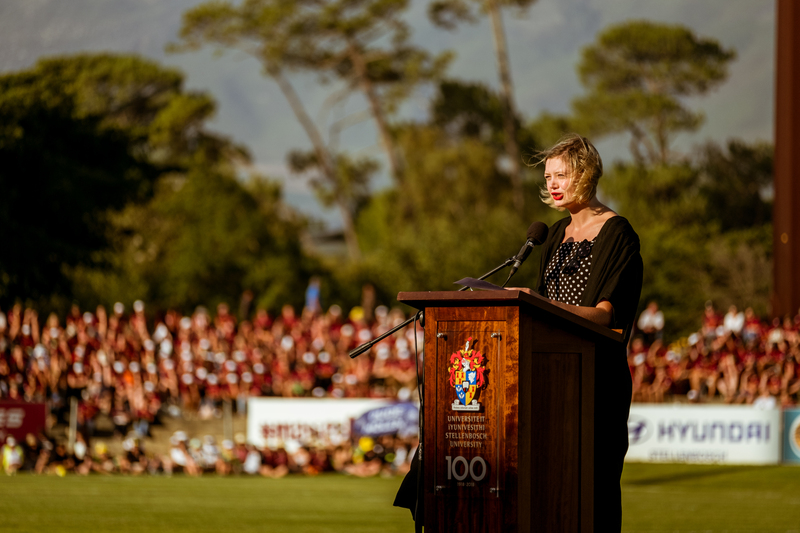 More than 5 000 newcomer students, accompanied by their parents, were welcomed by Stellenbosch University (SU) during the official welcoming event held at Danie Craven Stadium on Thursday, 24 January 2019. 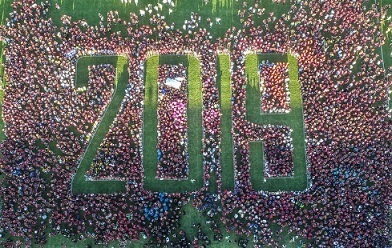 The important event on the University’s annual calendar consisted of fun, music, a formal welcoming, a human display of the number 2019 at the Danie Craven Stadium and a street march by students and parents to the iconic Victoria Street on campus. 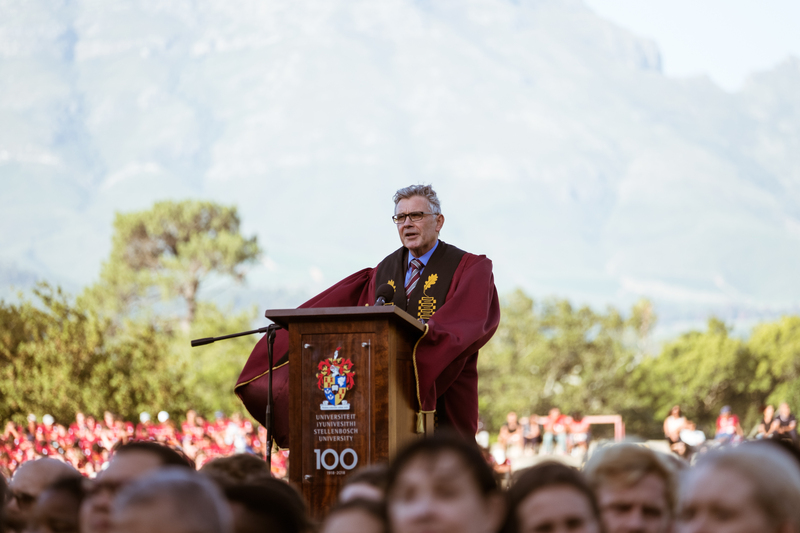 During the formal welcoming Prof Wim de Villiers, Rector and Vice-Chancellor said that newcomers were now part of a university where dreams are nurtured, new dreams are born, and where students have the opportunity to realise their dreams. 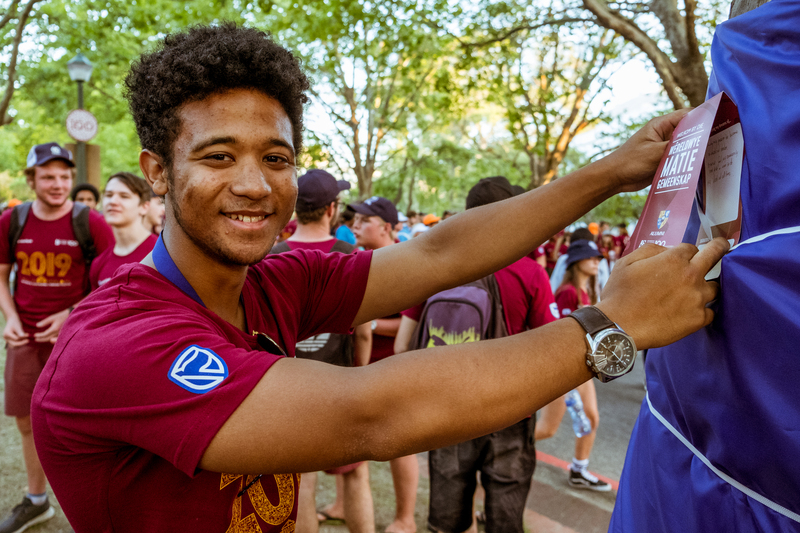 After the formal welcoming, the new Maties walked from the stadium to Victoria Street as part of a Dream Launch that symbolised the start of their journey at SU to realise their dreams. The students each received a card on which they could write their dreams for themselves. 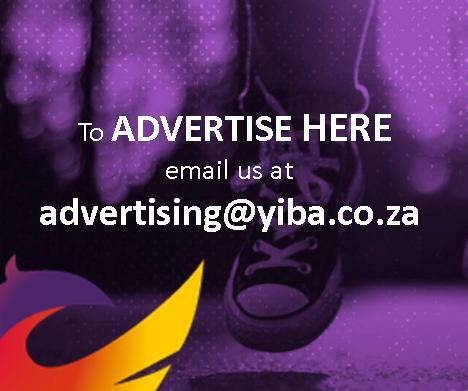 The cards were placed at various points on route to Victoria Street, where, for the next few days, these will be on display on trees wrapped in various colours, so anyone that goes down Victoria Street will pass by the dreams of all the newcomers. Newcomer students can find more information on the University’s website, which contains all the necessary information on the full week’s welcoming programme, information on the registration schedule, transport, personal safety, the library and free writing advice.